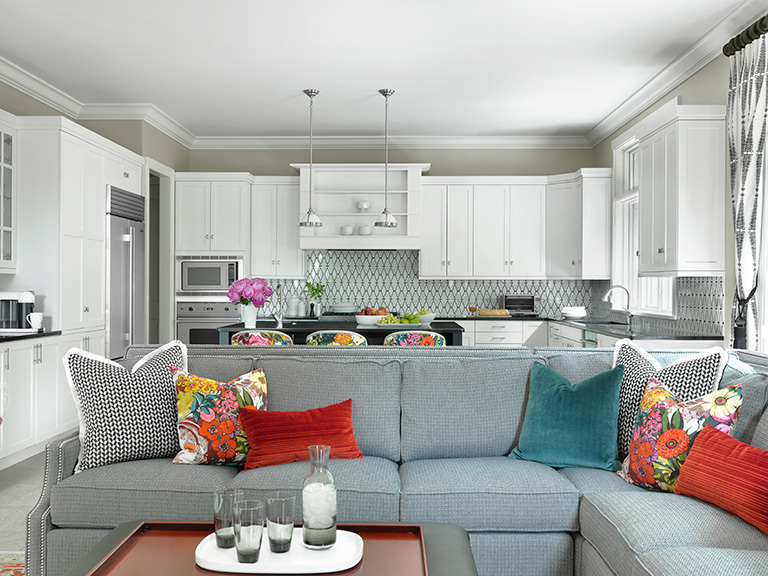 Castle Design completely transformed this kitchen into a bright and colorful space with newly painted cabinets, new backsplash tile, colorful fabrics and coordinating window treatments. The homeowner is from Louisiana, so adding a New Orleans flair to the space was a must. The designer was inspired by the colorful and modern print of Vervain Secret Garden fabric. 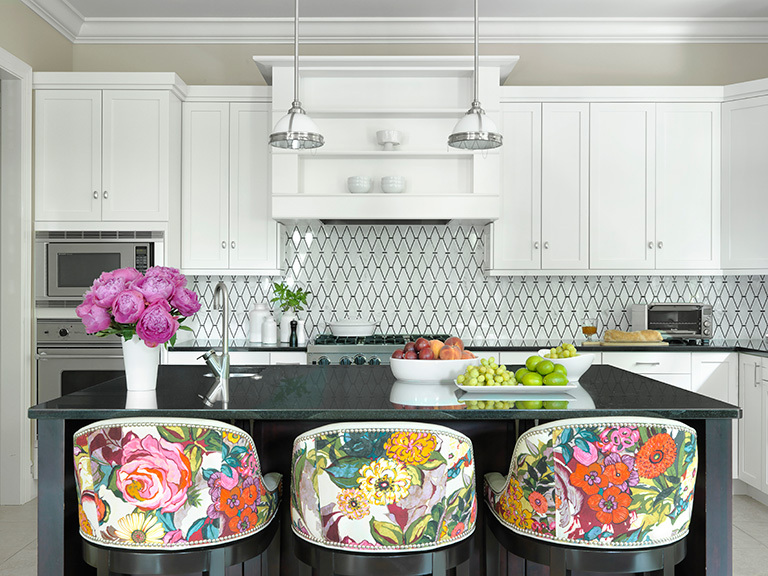 Counter stools were upholstered in the fabric and custom pillows were made for the room adjacent to the kitchen. Refinishing the cabinets and painting the walls set a light and airy backdrop. A graphic backsplash with high contrast in black and white adds the final wow factor. Schumacher window treatments pull the look together. The vibrant spirit of New Orleans merges with the modern needs of a young family to complete the kitchen remodel. The “wow” fabrics and contrasting black-and-white tile make the space. What an amazing use of color and materials. This project is a perfect example of how homeowners can retrofit their existing cabinetry while infusing high style into a space.